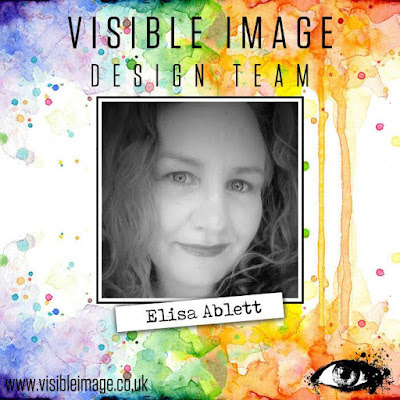 Elisa here from the design team for Visible Image with a bright mixed media tag. ‘take my hand’ stencil over your painted background. I have also added touches of primary elements – Gold Mica powder to the distress tool and smoothed the mica powder over edges and some parts of the painted area of the tag. I have also stamped and coloured in the eye and then punched it out with a circle punch, and then used 3d foam mounting tape to mount the eye over part of the hand. Stamp and colour your title ‘Stronger’ with mica powder and then add to your tag. Awesome tag Elisa! Love the gold against that vibrant blue ♡ Thank you! 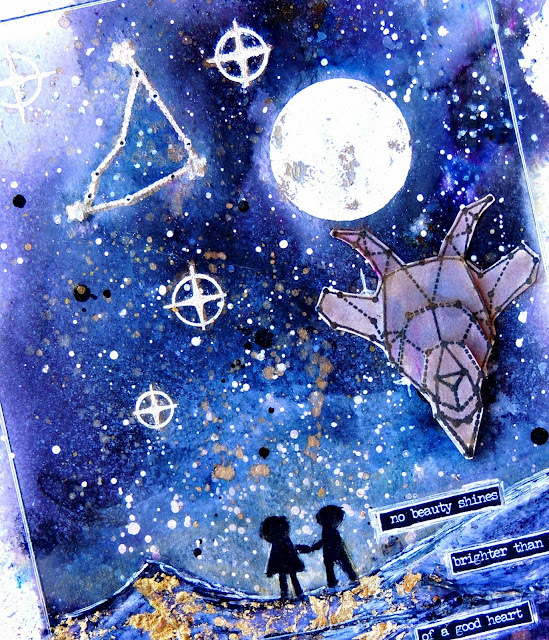 You will find more of Elisa’s fantastic projects over on her blog. Facebook group – see all our Design Team projects first! Enter our competitions! We will be back later with gorgeous inspiration from Heather and Pauline. Thanks for visiting our blog today, have a great day! The hummingbird was the first thing I saw when this new set ‘Life is beautiful’ was released by Visible Image, but it was that circle that kept drawing my attention to it. So for today’s project I have inked it up and I combined it with some beautiful words. Mistakes are proof that you tried and turn into learning moments to have you grow to become even more beautiful than you already are. Awesome tag Veerle ♡ Love the drama of the red! Great video as always.. thank you! You’ll find more wonderful projects over on Veerle’s blog. We will be back tomorrow with a bright and happy project from Jane Tyrrell. Hope to see you back then! 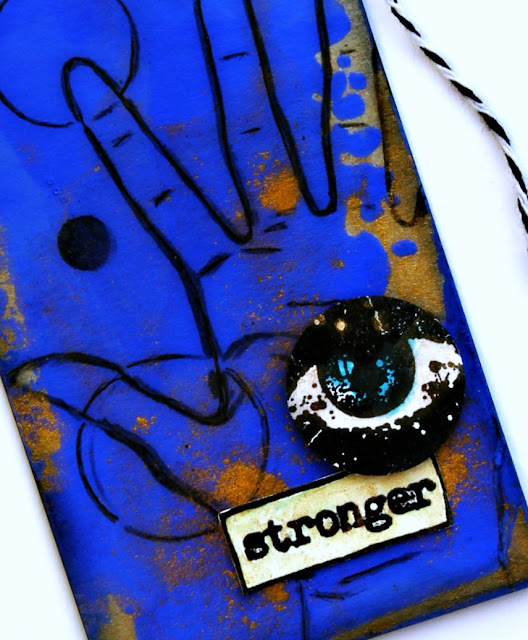 Today it is my turn to share & hopefully inspire you over on the Visible Image Blog so you know me I have another tag to share with you..
For today’s tag I decided to created with a New Release stamp, So Much Stronger. I really just love this stamp set so much! 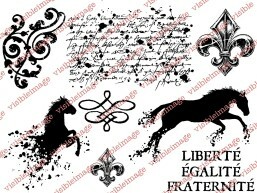 I really love this stamp set, just take a look! Make sure you stop by and see the amazing new Stamps and Stencils too! They are amazing!! Your tag is so beautiful Lanette! The embellishments are fabulous and the sentiment looks awesome ♡ Thank you! You will find more of Lanette’s wonderful projects over on her blog. Facebook group join in with the banter and enter our Monthly Show & Tell competition! We’ll be back tomorrow with a gorgeous card from Sharon Traynor, and a fantastic card by Pauline Butcher! For today’s project I had some fun with the Baby Bloom stencil …a beautiful stencil with a beautiful flower that can easily be used by itself. I used some texture paste through the stencil to have my little flower raised on my project and then colored it in using my DIY Inktense travelset and some regular watercolors. What a gorgeous tag ♡ Beautiful colouring and texture Veerle.. thank you! We hope you are enjoying all the Design Team projects with our NEW stamps and stencils! We will be back tomorrow with a fabulous journal page from Jane Tyrrell feature more of our new stamps! Sometimes I start thinking and looking at the world around us. And to many times I notice all the demands we need to fulfill. It all needs to go faster, it needs to be better. And strangely enough we feel the need we have to meet up with them. We can’t stay behind, we have to meet to the high standards others set for us. And without knowing we let them take away beautiful parts of us, parts that make us US. With this in mind I had a play with one of the beautiful new released words and stencils. Very easy, and CAS but I had the camera running anyway. We are loving seeing all the Design Team projects with our NEW stamps and stencils! 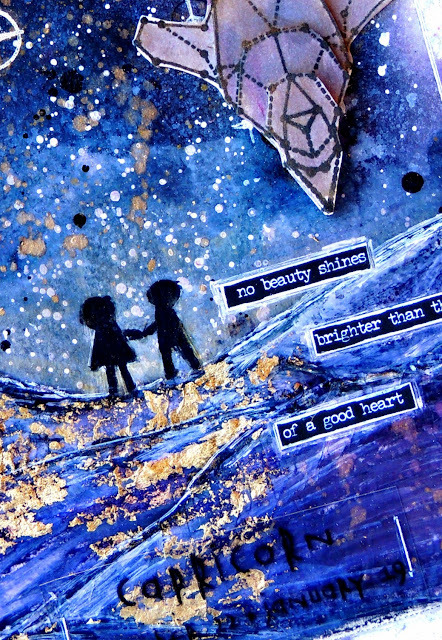 We will be back later with an awesome card from Jane Tyrrell feature more of our inspiring sentiment stamps! She Took A Deep Breath.. There were some bumps in the road, amongst being knock out for a couple of days in between, but I’ve managed to get the project finished. I had my camera on while creating so there is a new video for you today. Have fun! Thank you Veerle.. your videos always include so many great tips! We will be back tomorrow with a gorgeous card from Jane Tyrrell. Hello there! We are back with our 2nd post today. I love the skull stencil, so today I decided to use it for my inspiration for Visible Image. I have made a tag and a tutorial video..
You will find more of Aga’s inspiring projects over on her blog. We’ll be back later with fabulous new inspiration from Pauline Butcher.. hope you’ll come back later! Hello! We have some fantastic inspiration coming your way here on the blog today! Well… what a snowy and cold week that was! I hope you’re all safe and got to throw a few snowballs, if that’s you’re thing, or managed to avoid them if it isn’t! I love the snow. I love watching the pupsters jump in it and shovel their nose through the powder only to come up with a big whale-type snort! Ha! Anyway, enough of the cold stuff… let’s move onto to warmer climes with my latest Visible Image DT make.. So last Wednesday was my birthday and I met my lovely crafty friend for lunch and she suggested a wander round Hobbycraft (how could I refuse!). I managed to pick up a fabulous little globe die and I knew exactly what stamps would work perfectly with it. I’m really into my tags at the moment and thought a tag would suit the travel theme perfectly so I layered up two different sized tags that I’ve die cut using a Sizzix/Tim Holtz combo. The larger tag I’ve then die cut again to add some interest to the bottom. After heat embossing Fibonacci in bright white, I’ve then built up the colour using Distress Oxide ink pads. To add extra detail, I stamped Elemental over the top lightly using a Sepia Archival Ink and then used the mesh stamp from the Mesh-ellaneous set around the edges. For the top tag, I’ve used the fabulous Fibres stencil along with the new Resist Spray from Ranger. It’s very subtle but you can just see where the colour has resisted and made a mottled effect. To that, I’ve added Elemental (again using Archival’s Sepia ink pad) before heat embossing the rain stamp from Sparkle in the Rain in that gorgeous copper colour. 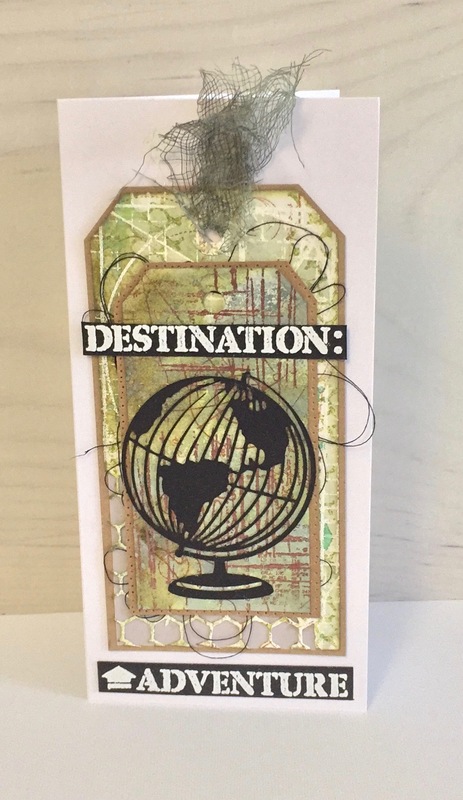 After die-cutting the globe, I’ve added the sentiments from the Destination Unknown stamps and layered them together before adhering to the card blank. Perfect for someone off on an adventure! You will find more of Heather’s fabulous projects over on her blog. We will be back with a stunning project from Lisa Taggart later this evening! 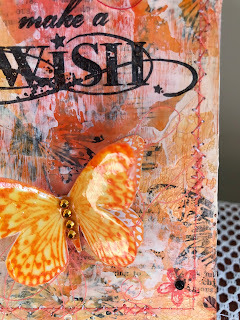 Today it is my turn to share & hopefully inspire you here on the Visible Image blog..
Products Used: Visible Image Bloom and Grow Stamp Set, Prima water color paper. Lindys Stamp Gang Sprays- Bells of Ireland Green, Cathedral Pines Green Shimmer Spray, Luminous Lemon Flat Spray, Finnabair Prima – Art Alchemy – Sparks – Dragon’s Eye, Metallique – Ancient Coin, Prima Roses, Tim Holtz – Alterations Collection Thinlits Die Wildflowers. Tim Holtz Distress Ink. Versa Mark Ink. Misc Leaf and Tag Dies, Mini Roses, Twine & Ribbon. Here you can see the word love that I stamped all over the entire background. This is so, so pretty Lanette ♡ Thank you! We’ll be back later with some awesome inspiration from Sharon Traynor ! Good Evening! We have more awesome inspiration coming your way today! Products Used: Visible Image How Fragile stamp set, and Own It stamp set. Visible image Strobes stencil. Art Anthology Sorbet Frost. Finnabair Art Alchemy Acrylic Metallic Paint- Mermaid Teal, Crocus Fields, Lime Peel, Pure Sunshine, Wild Fuchsia, Royal Red. Stazon Ink. Um Wow & Wild American Crafts Chipboard. Miscellaneous ribbon. Prima Watercolor Paper Heidi Swapp Pattern Paper -Color-Pop. Wafer-Thin Umbrella Dies. After I added my splatters of color I painted my title with a mix of Finnabair’s Art Alchemy Paint. Here you can see my quick and easy extra pops of color with a few bits of chipboard and ribbon. We’ll be back later with another gorgeous tag from Lanette! Hi there! We have lots of fabulous inspiration coming your way here on the Visible Image blog today! Elisa here from the design team for Visible Image with my latest mixed media projects featuring one of the NEW and exciting ‘Written in the Stars’ Zodiac stamp sets that have just been released by this AWESOME UK Company. 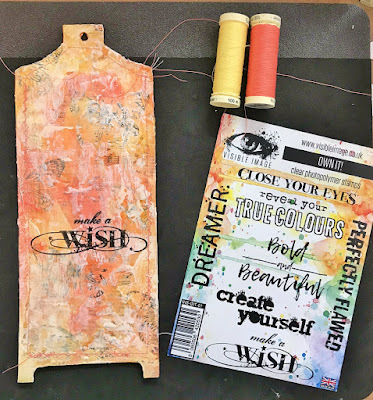 These stamps are so versatile.. so far the team have made cards, tags, mixed media projects, a wall hanging, journal pages – so you can see they are well worth it! I am featuring the Zodiac Capricorn Stamp Set on a galaxy art journal page along with the Believe in Unicorns stamp set, and a texture background featuring water colour crush powders plus wax kitchen paper. I also have a second project on offer featuring the same stamp set! 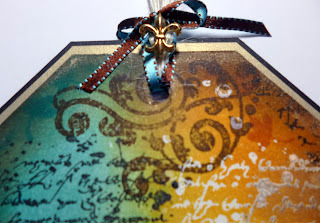 a mixed media tag with alcohol inks and acetate and gold foiling. 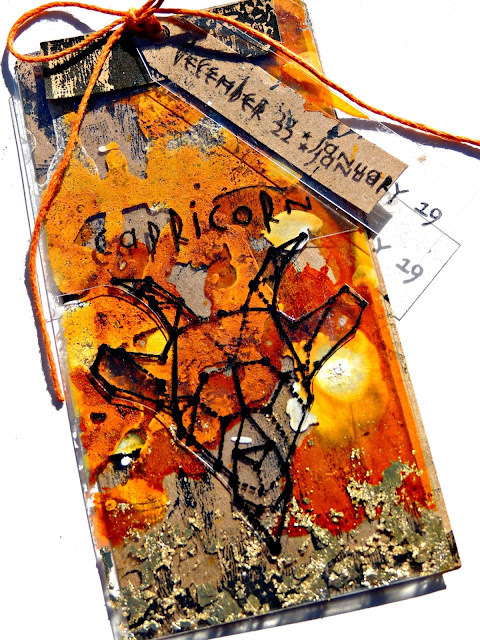 Here are some close ups of my Art Journal – Capricorn Galaxy page and my Alcohol Ink and Acetate mixed media tag! 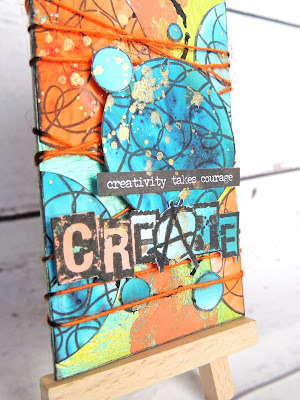 Some of the techniques used on this art journal page include – wax kitchen paper collage, embossing, watercolour wet on wet and gold foiling using a glue stick! Water colour powders called Colour Crush by Tinby Designs in Australia were used to create the colours in the background. 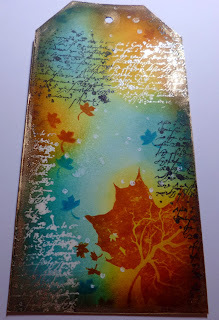 Some of the techniques used on my tag – a monoprinted background with a gel plate, alcohol ink on acetate and gold foiling on acetate. Here is the awesome versatile stamp set – Zodiac Capricorn..
Hello! We have another amazing project to share with you today! Hi everyone, today I’m featuring the fabulous new Seahorse stamp teamed up with one of the wonderful new backgrounds. It’s an mdf tag mixed media piece. It’s a more masculine project- makes a change! The tag uses a mixture of materials. I decided to use acrylic paint for the background. I mixed in a little Brusho powders for good measure. The stamped images were heat embossed and when coloured foiling was added using teal foil. Here are some of the basic steps. 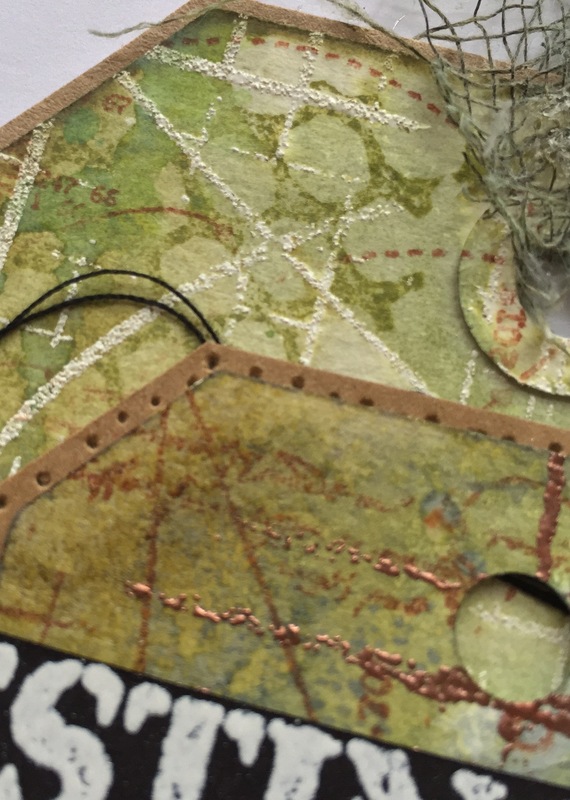 A few bits of twine, leather, a metal compass embellishment and ribbon added extra interest. We’ll be back soon with more awesome inspiration from our amazing Design Team!! Good Afternoon (or maybe it’s morning or evening where you are!). Today it is my turn to share & hopefully inspire you here on the Visible Image Blog. 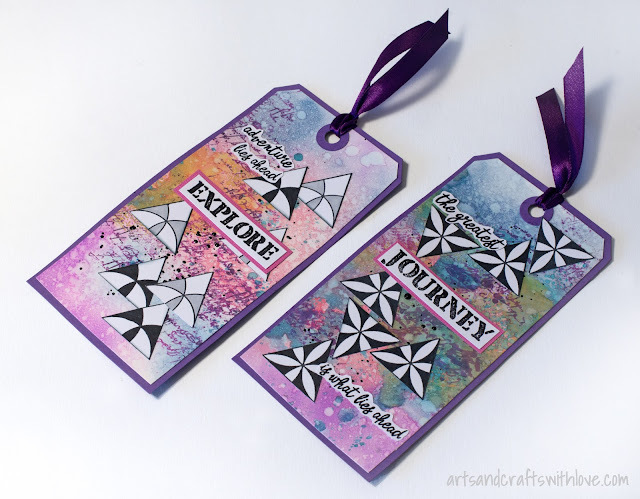 So I thought I would share a couple tags that I created using a few of our new release stamps. Products Used: How Fragile Stamp Set, Bloom and Grow Stamp Set, Prima Pastels, Glossy Accents, Lindy Stamp Gang Embossing Powder. Kaisercraft Rhinestone Heart. 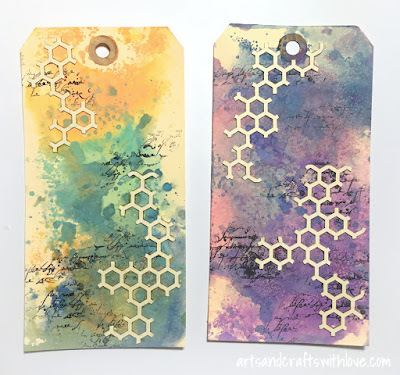 And for my second tag a I created a layered tag that has crazy shimmer! Products Used: Zodiac Gemini Stamp Set, Fibonacci Stamp, Lindys Stamp Gang Sprays and Embossing Powder. Rhinstones. Watercolor Paper. Now let’s a better look at the complete stamp sets…. I hope you have enjoyed all the New Releases this month, stay tuned in we have lots more amazing things coming up for you soon! Really beautiful tags Lanette! Love them both so much! Thanks for visiting our blog today, we’ll be back later with lots more gorgeous inspiration as we continue catching up with all the latest Design Team projects. Hello! Yes we are back with another inspirational project featuring our new stamps! What’s in a fingerprint? When you look at it…there’s nothing much to see. It are just some lines and you leave them behind because you have dirt on your fingers. There is still lots of inspiration to come this weekend! Hope you will come back soon. Good Morning! We have some amazing inspiration coming your way today! 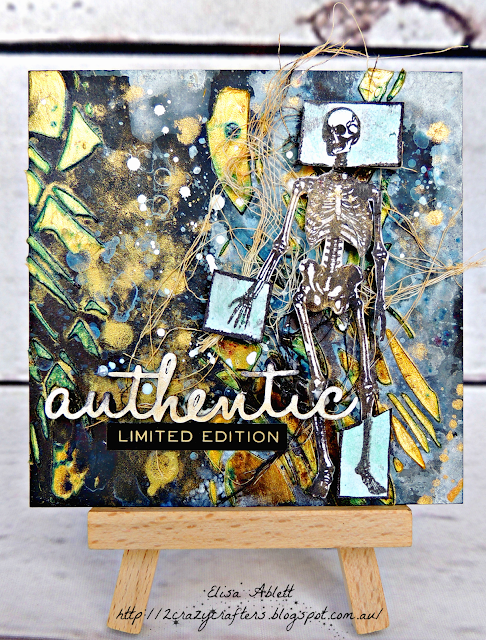 I’m back today sharing a mixed media tag made using the Skull Shadow stencil and some of the new stamps from Visible Image. For this project I also used : An mdf tag; Sheena stamping card; ink sprays in teal, green and metallic bronze ; foils in teal and copper; pebeo foiling gel; black embossing powder; versamark ink; Amsterdam black and white acrylic pens; copper wire ;complimentary ribbons; metal gears and irredescent pink gem. To begin I lined the tag with the stamping card. This was then sprayed randomly using the sprays. Rather than spray through the stencil I decided to spray green ink on to the stencil and use like a stamp to create the skull impression. I did this a couple of times so the skull shape stood out from the background. I also highlighted the shape using black and white pens and did a little shading around the edges using brown ink. The focal point is the eye. I heat embossed in black the cracked glass stamp over the eye socket. Using the gel adhesive I highlighted some areas around the crack, splinters and the teeth. When clear I cold foiled using copper foil. I also added some white highlights. I decided to add the metal gears and gem. Using the organics stamp set I selected a couple of elements and like before stamped in black. This time I foiled on top using teal foil. I also wound some wire around the bottom and along the side of the tag for added texture. I stamped the ‘fragile’ sentiment onto inked card and added some white highlights . I wound more wire through the hole at the top of the tag along with some ribbon. Reminds me of a pirate! Hope you like it. Till next time! 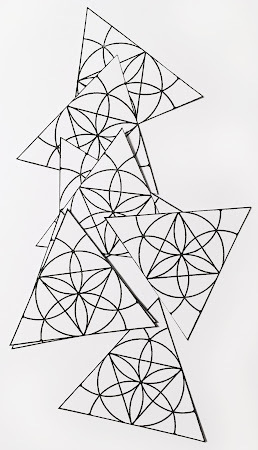 We’ll be back a little later with a fabulous wall hanging by Elisa Ablett. 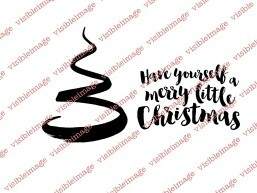 So you couldn’t miss it… Visible Image has released loads of new beautiful designs and each time I got to see what they came up with ideas just jumped in my head. And for today’s stamps that was no different. The moment I saw those two faces… I just knew I wanted the back one, you know that one that is partially hidden, to be black. And the face that is at the front, for everyone to be seen loud and clear to be white. How fragile are we? And as I’m playing with a Zodiac sign…I needed a galaxy. 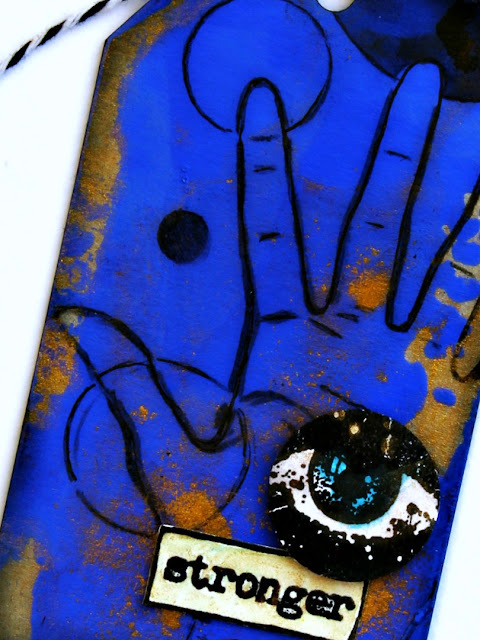 I made one my own mixed media way and I show you all about it in the video. Have fun! So beautiful ♡ We love it! Thank you Veerle! Good Evening! It’s been another crazy busy day here are Visible Image, just a few days left to get everything finished before we head off to Creativation. Heading to the show..? come and say Hi! We’re @ BOOTH #539 in the International Pavilion! Did you see this morning’s NEW stamps reveal? Exciting times at Visible Image HQ where so much has been happening! Mark has designed the most amazing/beautiful/stunning stamps… they truly are unlike anything else on the market. Today’s designs unveiled include this gorgeous design called ‘How Fragile’ and, like all the other stamps, is available for pre-order from tomorrow, Friday 12th January. I’ve made a few projects using the stamps in this set, but I particularly like the simplicity in this monochrome tag. To begin with, I’ve taken damp watercolour paper and blown/dribbled black watercolour paint and graphite ink around it to look as though the colour is spilling out from the effect. Once fully dry, I stamped the cracked image in white opaque embossing powder over the black drips and then painted the centre to give a ‘hole’ effect. Next, to enhance the smashed look, I’ve added a thick layer of Distress Crackle Paint into several of the shards (the thicker you use the crackle paint, the better results you get). In keeping with the colour scheme, I’ve then stamped the ‘How Fragile We Are’ sentiment in the same white heat embossing powder onto grey card and then matted it onto the same black card I’ve matted the actual tag on to. The other members of the design team have come up with some amazing designs using the stamps so do keep an eye on the Visible Image blog for all the latest photos. It’s an exciting time for Helen and Mark… and for the design team too as for many of us it’s the first time our work will be shown at Creativation… and that is a HUGE deal in the crafting industry! If you’re lucky enough to be going… pop along to Booth 539 and say hello to the fabulous Helen and Mark and see the gorgeous samples created.. I have a feeling they are going to be incredibly busy over in Phoenix when everyone sees how outstanding and diverse their stamps are! That’s all for today but I’ll be back very soon as I have so much to share with you in the next few weeks as I can’t seem to stop creating with these gorgeous new stamps! We will be back soon with more projects from our amazing team! And don’t forget to come back tomorrow to see the final 2 NEW stamp sets revealed!! Hello there! After a blogging break and well earned rest over the holidays, our Design Team are all revved up and excited to share lots of awesome new inspiration! Kicking off the year in amazing style, here’s Lanette Erickson.. 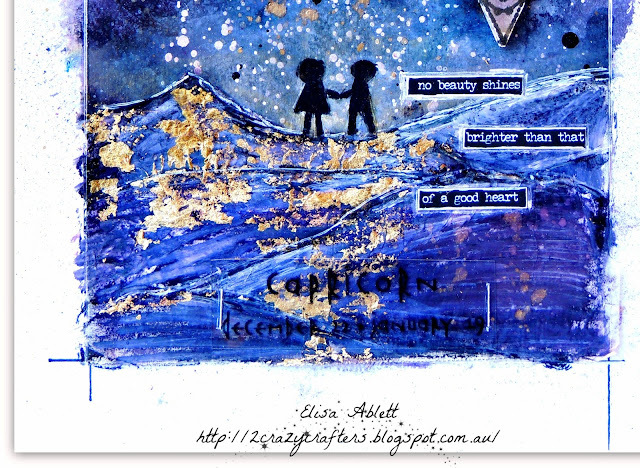 So I thought I would share a layered tag I created featuring the Glimmer of Light Stamp Set. After all its the stamp that drew me to Visible Image and it really is my favorite set. I just love the stunning moth, he is giant and makes the perfect focal point. As you can see here…..
Products Used: Visible Image Glimmer of Light Stamp Set, Lindy’s Stamp Gang Sprays: Voodoo Violet Blue, Witch’s Potion Purple, Delphinium Turquoise, Screamin Banshee Black and Blazin Black. Lindy’s Stamp Gang Purely White and Obviously Black Embossing Powder. Watercolor Pencils. Ranger -Glossy Accents, Foam Tape, Watercolor Paper. 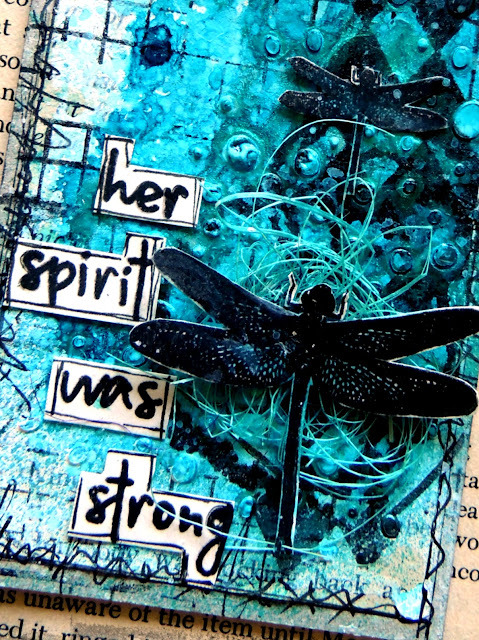 Versa Mark Stamp Pad, Stazon Ink Pad, Prima/Finnabair Acrylic Sparks Paint- Raven Black and Metallique – White Pearl. A bit of ribbon, a few rhinestones and an eyelet from my stash. See, he really is just beautiful and the perfect focal point! Now you can see why he is my favorite! Plus, the verse is such a perfectly positive message, you really can’t go wrong with this stamp set. Now let’s a better look at the compete stamp set…. Now before you go let’s take a closer look at my tag. Here you can see the layers of both tags each with the same beautiful background. I created this background using Lindy’s Sprays on watercolor paper and I let them air dry, for a soft smooth shimmer. Additionally, you can see both layers of the moth. The fussy cut moth that I gave a little pop too using a bit of foam second is stamped directly on the tag. We have a lot going on this month and you don’t want to miss anything!! Trust me you want to see what is coming your way next week!! 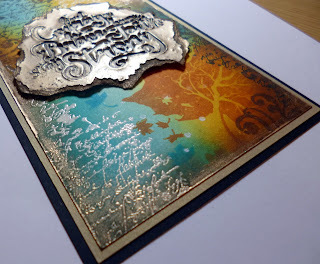 Sharon Traynor will be here on the blog tomorrow with a super stunning card! Next Monday we start previewing our NEW stamps launching at Creativation.. we are just so excited!!! Hello! We have double inspiration for you here on the blog today, as we took a (sneaky) day off yesterday! We all have those moments where life is a bit of a struggle, even sometimes a hell of a hard fight. A fight to keep standing up with your back straight and your head held up high while life keeps throwing challenges at your feet. With some of those personal challenges in mind I created this project. I chose some words from the ‘Disguise of a smile’ set that were perfect for this project and combined them with some background stamps. Even though I don’t use bright pink a lot, for me personal it does have a meaning. Pink is that color I’ll turn to if I need a reminder to stay positive, no matter how dark it becomes around me. We will be back later with a very magical tag from Jane Tyrrell! Elisa here from the design team with my first post representing Visible Image, this is so exciting for me, it’s a dream team with the most exciting arty stamps and stencils! For my first post and in keeping with the November ‘make a tag’ challenge theme over at Visible Image Facebook Group, I created the following tags..
For my second ‘tag’ (which is more like an ATC) I went a little darker in both the tone and mood of the project. The background is on a thick black cardstock as my base, I then layered Tim Holtz Distress Oxide Inks in Antique Linen and Frayed Burlap plus Blueberry Colour Crush Powder from Tinby Designs. Next step was to use the fabulous Fibres Stencil along with some Colour Blast Bling Paste to add some texture. I then stamped and fussy cut the main feature – the Skeleton from Mr Bone Jangles stamp set and using 3D mounting tape for depth. 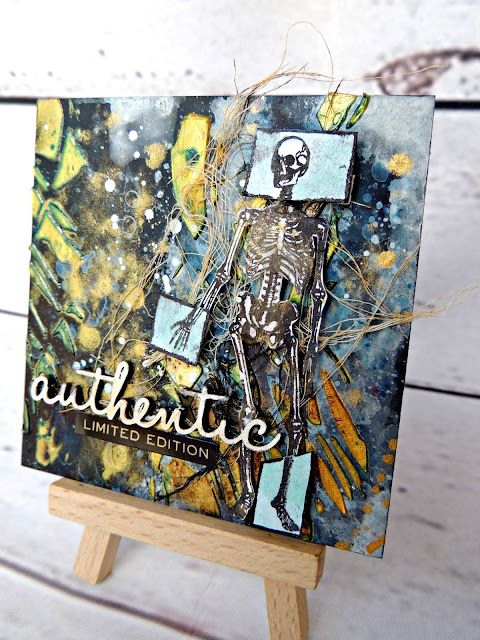 That’s it from me today, I hope you have enjoyed seeing how you can utilise your Visible Image stamps with mixed media projects! You will find more of Elisa’s gorgeous projects over on her blog. We will be back tomorrow with the very first project from Aga Baraniak! Hi there! We are really excited to share the very first project by Lynn Good here on the blog this evening..
Evening everyone, I am super excited (and nervous!).. Today is the day that I reveal my first project for the design team of Visible Image. Never did I imagine I would get onto such an awesome team! I have started with a pre-made tag that I have had in my stash for a very long time. I covered it with book and music paper and then a coat of gesso and a few areas of White Crackle Paste. I then stamped the butterfly from the set Own Kind of Beautiful. As I wanted the stamp to be in the background, I applied another coat of gesso on top. 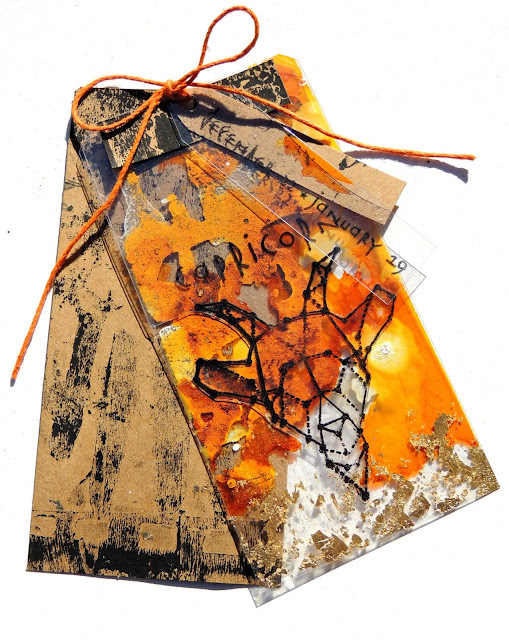 I have then applied colour to the tag using Distress Oxide Inks – Candied Apple, Spiced Marmalade and Fossilized Amber. 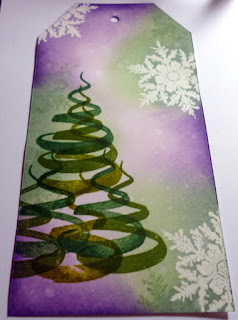 While I had the inks on my mat I also dyed some ribbon for the top of the tag. While I was waiting for the paint to dry I stamped out six butterflies using the Distress Oxides. Three of these I applied dimensional magic on the top which would become my top butterflies. It was now time to put the card together. 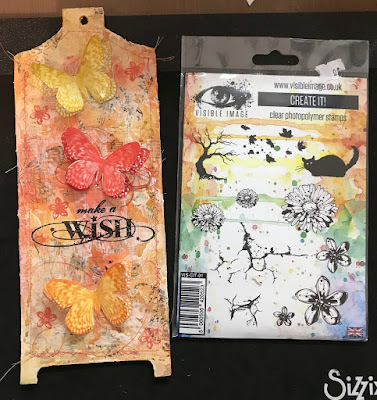 I have layered the butterflies, putting some cotton in between and stamped some random flowers using the smallest flower in the Create It set. Thanks for stopping by and until next time.. 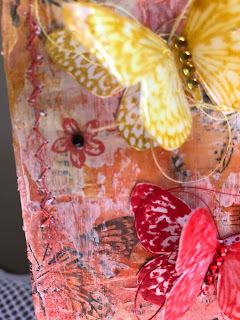 This is such a beautiful tag.. love all those gorgeous layers, and the butterflies look fabulous! You will find more of Lynn’s wonderful projects over on her blog. We will be back tomorrow with new inspiration from Veerle Moreels! Good evening.. it’s another marvellous Monday and I am here with my weekly dose of inspiration for Visible Image. Helen and Mark aka Mr and Mrs Visible Image have recently taken on 10 new talented Design Team members and said goodbye to some old. We now have a truly international team of 14 and I am delighted to be continuing to design for them. Visible Image also announced that they are exhibiting at Creativation in January, the huge crafting trade show in the USA. This is incredibly exciting, and shows just how much Visible Image has grown over the last year. I made an inky background on my tag using these distress inks and the wrinkle free technique. 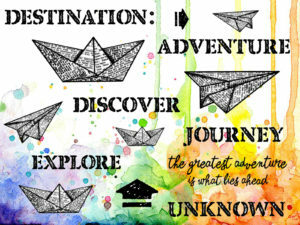 The Good Ship “Visible Image”…the words from the Destination Unknown set are just perfect ? It really is such an great adventure which lies ahead and I am delighted to be a part of it. This is an awesome tag Jane! 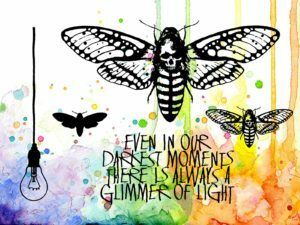 Your background is superb and we love the inspiration behind it! We will be back later this week with more brilliant inspiration. I love bringing elements together that tell a story, that tell a part of MY story. And I know not every story is obvious for everyone, but it doesn’t have to. A lot of times I see people are trying to copy someone’s project because they think they should create on the same level as someone else because they love what they see. And it’s ok to love what you see and try to get a hang of those techniques so you can use them yourself. But I hope everybody knows that it’s alright to just stay yourself and create what you want or need to create. That you can tell your story just as beautiful as anyone else because it is put down with your love and it is you. 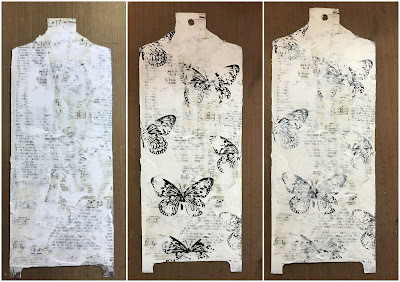 You have got to love the versatility of the Visible Image stamps and how they give you the possibility to create so many different styles of projects. I went for using parts of sets to create my project (sets shown below) but take a look at the other projects over in the galleries to see how bold you can go if you want to. What a stunning tag! Love the story behind it too.. ♡ Thank you Veerle! We will be back tomorrow with an awesome tag from Jane Tyrrell to start the new week! Good Evening, I am back with my weekly dose of Visible Image inspiration. We are still enjoying a glorious autumn full of sunshine and rich deep colours all around. 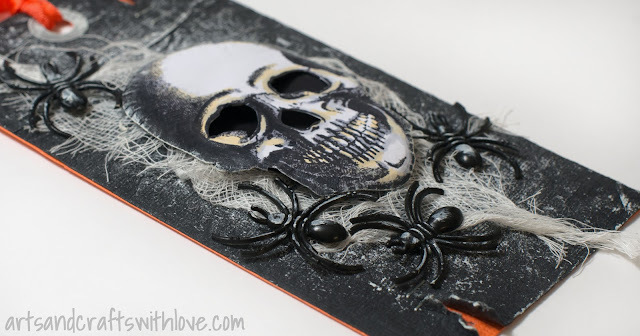 I am sharing a tag today which gives a nod toward Halloween but still embraces the rich colours surrounding us. I wanted to use one of the older Visible Image stamp sets as it also reminds of the gorgeous woods we walk our son’s dog Bear in. I also used the Fibres stencil as it has such an organic feel to it like the branches of the trees. and using the wrinkle free technique inked up my tag. 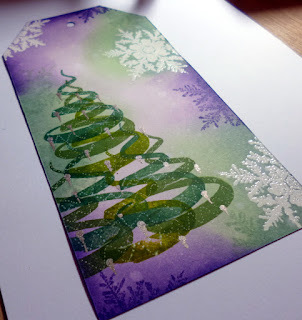 I then added some extra colour using my stencil and some rusty hinge and wilted violet distress inks. I die cut some leaves from inky mop up card, stamped them with VI words and added Crackle glaze to get that great crunchy leaves effect. I also stamped, embossed and cut up the Create to escape words so that I could arrange them on my tag. I then put on my creative hat to put my tag together. I placed one of the crunchy autumnal leaves into the beak of the bird. I hope you are still being inspired by the colours of autumn too? Thanks as always for stopping by today. Thanks for visiting our blog today, and don’t forget to enter your cards and projects featuring our stamps and stencils into our Facebook group Show & Tell album for your chance to WIN a £25 coupon! Hello! We are back with more gorgeous inspiration for you. Nothing you can do now to turn back the clock and change it, so no reason to keep thinking of it I suppose. Only learn from it to never put yourself in that position again and just take every chance you get no matter what. You can see how Veerle creates her delicate water colour backgrounds over on her YouTube channel. And you’ll find more stunning projects over on Veerle’s blog. We will be back with 2 fabulous cards from Jane Tyrrell a little later. It’s the start of a new month so there’s a new monthly challenge over in the Visible Image Facebook group. And this month’s challenge theme is: A splash of color. Now you all know me…my favorite color is black but just a splash of black … I didn’t want to do that so I chose to make my background black and of course I had a beautiful set of words chosen to match this challenge. Now for my splash of color I went for… the beautiful colors on the wings of a dragonfly. I stamped the dragonfly on two layers of 300 gr. watercolor paper. Of course I used my watercolors to color him in and then I’ve cut it out using an exacto knife. By using two layers of watercolor paper I created some dimension. We’ll be back soon with more fabulous inspiration! Thanks for visiting us here today on the Visible Image blog. Hi there! There’s lots of gorgeous inspiration coming your way here on the blog again today! The clock is stamped three times, once on the tag, and twice on a piece of white cardstock. I coloured the white clocks with yellow and orange Promarkers, cut out, and layered the pieces on the tag using foam stickers. For the background I used several layers of Distress Oxide inks, and created some pattern using the new pattern stamp with numbers (included in the same stamp set). Before inking the background I masked the smallest clock pieces with masking fluid, and removed the fluid before starting the layering. The quote is stamped and heat embossed on white vellum, and attached on the tag with two-sided tape. I hope my dimensional project inspires you to play along our June challenge. Maybe you’ll be the lucky one to win a £40 coupon to the Visible Image online shop! We will be back a little later with more fabulous projects to inspire you! Hello! We have a day packed full of gorgeous inspiration here on the blog today! We have so many stunning samples to share with you leading up to Friday’s shows on Create and Craft TV. 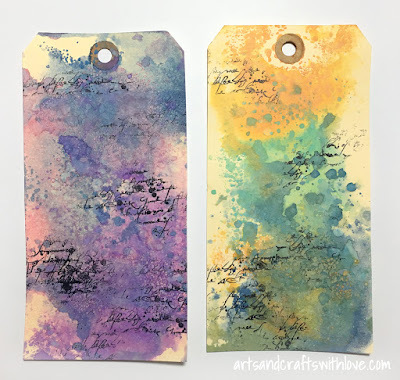 Today I wanted to show you a tag project I made with Visible Image ‘Dare To Swim’ stamp set and Distress Inks. The base of my project was a white size 8 tag that had a nice bit glossy finish. Just perfect for some creative play with stamping and inking! 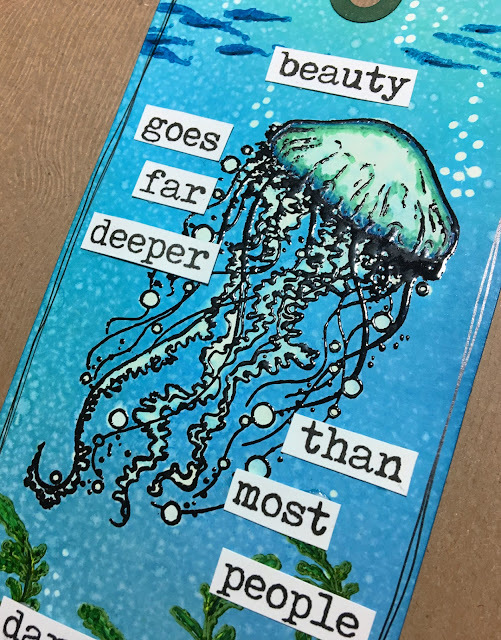 I started the project by stamping and heat embossing the jellyfish on the tag. Then I inked the entire tag with a few blue and green Distress inks and stamped the seagrass and fish school images with StazOn on top. 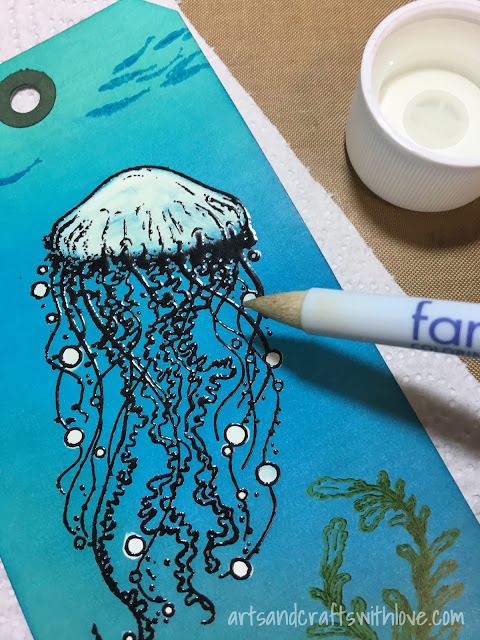 I wanted to highlight the beautiful jellyfish and the air bubbles by removing the ink from those. For that I used bleach: I took a Fantastix colouring/painting tool (a small brush would have done, too), dipped the top of it into bleach, and painted over the areas I wanted to remove the ink from. After waiting a few seconds I saw the magic happening: the bleached spots started turning white!When working with bleach you need to choose a stamping ink that tolerates the strong liquid. The technique works well with heat embossed images, and also StazOn allows you to paint over it without dissolving the stamped image. If you have not yet tried this technique I suggest you give it a try; I’m sure you’ll love it! I removed the ink also from the seagrass, and re-colored the leaves with green ProMarkers. Also the jellyfish got back some colour and shadowing from my markers, as well as the tiny fish on top of the tag. Before gluing down the stamped quote words I misted the entire tag gently with plain water. Loved the tiny bubble patterns it created! Hope you like my tag! Wishing you a nice week, thanks for stopping by! We will be back a little later with more fabulous projects created with stamps on Friday’s shows! Hello! Thank you for coming to check out today’s inspiration here on the blog. And I liked what I saw ^.^ So I wanted some words to match and I went for these from the set Destination Unknown. So what will you do…stay on the nice side of the line or will you cross and join me on the black side? Such an awesome tag Veerle.. thank you ♡ Love the deep dark emotional feel to it! There have been so many stunning projects created with our Face stamps, and there are lots more to come from our awesome team… check out the gorgeous inspiration in our Face it project gallery! Thank you for visiting us here on the Visible Image blog today. Hello there! Thanks for popping in today. We have more awesome inspiration to share with you for this weekend’s show on Create and Craft TV! This time I did not use ready made manila tags but die-cut the size 8 tags myself. Actually I cut both tags twice; once from solid purple paper and once from a colourful paper I had inked with Distress Oxide inks. Oh how I love playing with those! Whenever I’m working on a colourful background I like to use some contrasting black and white elements that really make the vivid colours pop. Using the fun ‘Visometry’ stamp set by Visible Image I stamped the same geometrical shape several times on a white paper, coloured the triangles with black and grey markers and cut out. It’s always fun to find new ways for using your favourite stamps! In addition to the Distress Oxide layers I created more background patterns with Visible Image ‘Scripted Streets‘ stamp. The tiny black splashes are black ink. The word stamps are from Visible Image ‘Destination Unknown‘ stamp set. Again I mixed and matched the quotes in a new way; love that creative puzzle play! I did not use any dimensional elements on the tags, so both of them are thin which makes them perfect bookmarks, too. I think that the quote text is matching that use; when you have a good book in your hand you know that a great adventure always lies ahead! Wishing you a nice week. Many thanks for stopping by! Teresa will be here a little later with another gorgeous card she’s created for the show! Have a great day, hope the sun in shining where you are ? Hi there! We are back with more fabulous inspiration for you here on the blog today! Veerle Moreels is here with a stunning tag…. We have a fabulous project from Jane up here on the blog next today! Hello! We are here to share more gorgeous inspiration with you here on the blog. One of the coolest things about new Distress Oxide inks is that you can easily layer the colours and create vibrant colour combinations. Just dry each colour layer with your heat gun before applying the next layer; new layers will not react with the ones underneath. it’s always a good thing to use a bit of black or white for contrast; those will make the colours pop! but held the stamp it in my hand, bending it when stamping the texture on the tag. I added some texture on the tag by gluing down pieces of a honeycomb chipboard sheet. Then I stamped the lovely flowers in three sizes on white paper, coloured them with Promarkers and cut out. Before gluing them on the tags I bent the flower petals gently for creating a dimensional look. I decorated the flowers with small seed beads. As much I love the quote text on the ‘Black & White World’ stamp I had to cut it to smaller pieces in order to fit the texts on the tags. In addition I did not want to cover the colourful background complete with the word strips, so leaving out parts of the quote was the way to go this time. Reassembling the quote on both of the tags was actually a fun thing to do; versatile stamps can be used in so many ways! Wishing you a beautiful week filled with colour! These are so gorgeous! 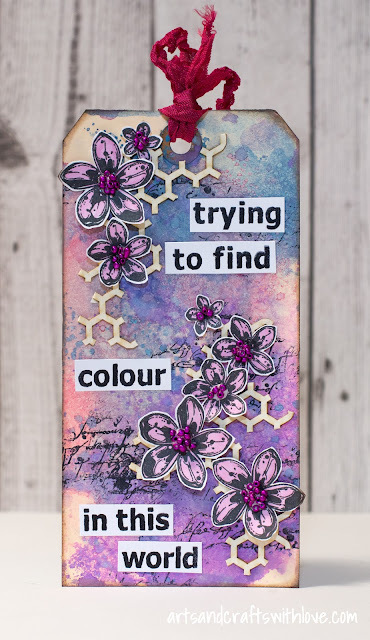 ♡ Wonderful layering of colour and the script works so well with the flowers too! Thank you Elina! Tomorrow Pauline will be here sharing her latest Design Team project! Hi there! Thanks for visiting our blog! I love the project I’m showing today …if I may say so. And that has all to do with this word stamp from Visible Image of course. 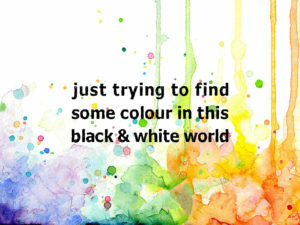 How true can this one be…tell me… how black and white can this world sometimes be. How often do you find yourself standing opposite of something or someone, wishing you could just knock it right down on the floor? Hello there! We have yet another stunning project to share with you here on the blog today. and I’ve used the awesome Dare to Swim stamp set on it. 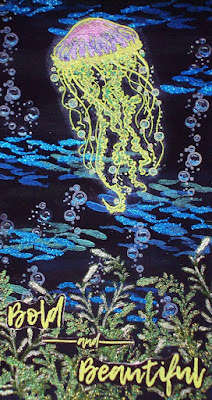 I stamped the small fishes with Versamark, and heat embossed them, using three blues of embossing powders. The bubbles were stamped using a white ink pad, and the seaweed heat embossed with green powder. I then stamped the jellyfish with Versamark and heat embossed with a yellow powder, the sentiment was done in the same way. 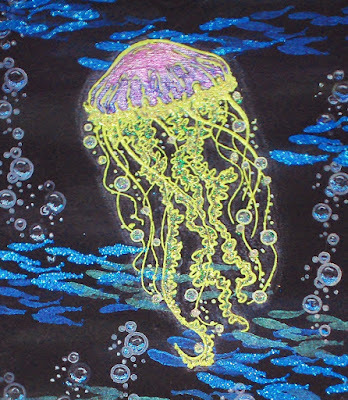 I coloured the jellyfish using Stickles, and gave it a glow using a white crayon. You will find more of Pauline’s gorgeous inspiration over on her blog. Stay tuned for another amazing Design Team project, Nicky will be here next with another real ‘wow’ card! Hello! We are back with more incredible inspiration for you! A few weeks ago I showed you this card using the Visible Image ‘Believe in Unicorns’ stamp set. My daughter, who loves the moon, asked me to make her a bookmark creating a universe and this moon. So two more projects using the same set yet looking completely different! Gorgeous projects Veerle thank you ♡ Loving those backgrounds! Next up on the blog is a fabulous canvas created by Nicky! For my previous project I shared a video tutorial where I worked with one of the new word stamps Visible Image released called ‘Scars’ Well today I would like to sneak in and show a second project I made using the same stamp ^.^ I can’t help it…I just think it’s such a beautiful stamp. 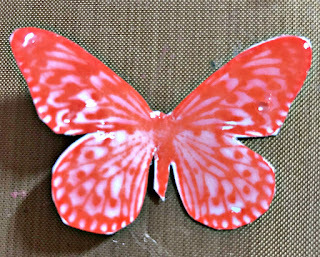 I gave my butterfly some scars using the crackle stamp from the ‘Create it’ set. Wow what an absolutely beautiful tag ♡ Thank you Veerle! Such a gorgeous representation of these words. You will find more of Veerle’s inspiring projects over on her blog and YouTube channel. Hello! We promised you more NEW stamps inspiration this weekend so we are here to deliver!!! 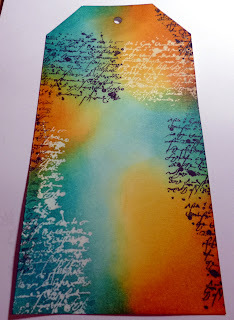 I first prepared my background with my new Tim Holtz distress crayons. I used the neutral tones, the main colour being my new favourite, Rusty Hinge, but I mixed it with lighter and darker tones to achieve an aged, rustic look. My whole background sheet was a piece of A5 Mixed Media card. From this I was able to make my square background AND my tag. So as you can see, I used the background stamps first, to add a little interest to the square, and then I stamped the words around the page, and triple stamped a few for shadow. I filled spaces with arrows and arranged my tag, using string to secure it to the card. Although the base card is kraft card, as you can see, all the work was done on white card, which I then distressed round the edges and mounted onto black, with just a tiny border, This works in two ways; it strengthens and flattens the mixed media card which by now has been quite ‘worked on’, and it draws the eye to the detail. The planes and boats….! Adorable, and inspired! I stamped onto thin white card, used grey distress ink to watercolour a small amount of shadow onto each one, and adhered them to the card, some flat, some on pads. Helen, Mark and the Design Team will be showcasing all the new stamps from the February release, so be sure not to miss out by liking and following their Facebook page. 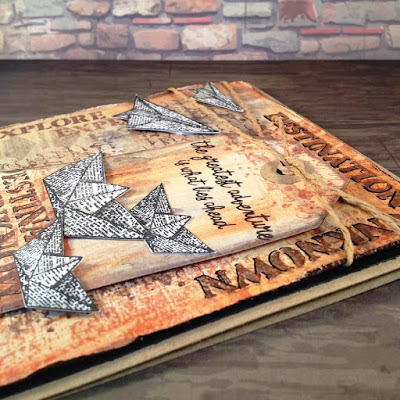 Love how the monochrome of the paper boats and planes stands out against the rusty sepia tones of the background. 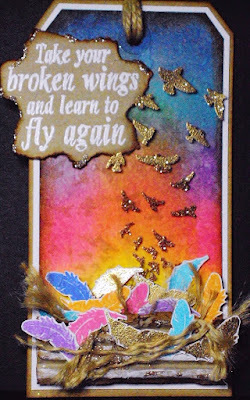 You will find more of Nicky”s inspiring cards and projects over on her blog. I die cut two blank tags using my Tim Holtz Sizzix die, and then used a Sizzix Mixed Media die to cut the holes in one of the blanks. 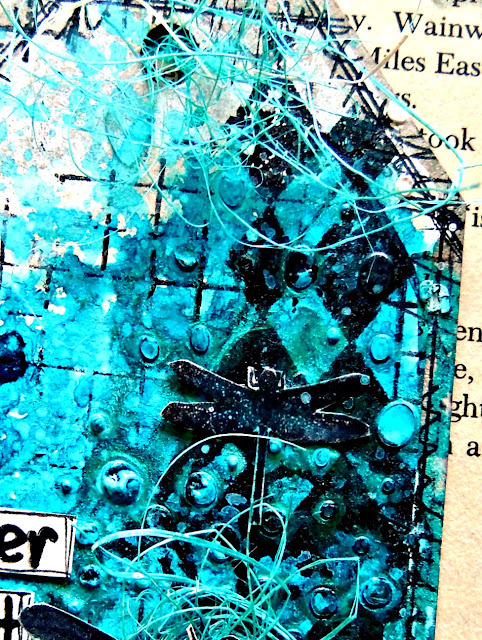 Several shades of blue and black Distress Ink are blended over the tag. I added more pattern to the tag by splatting some water on the inks and blotting off. 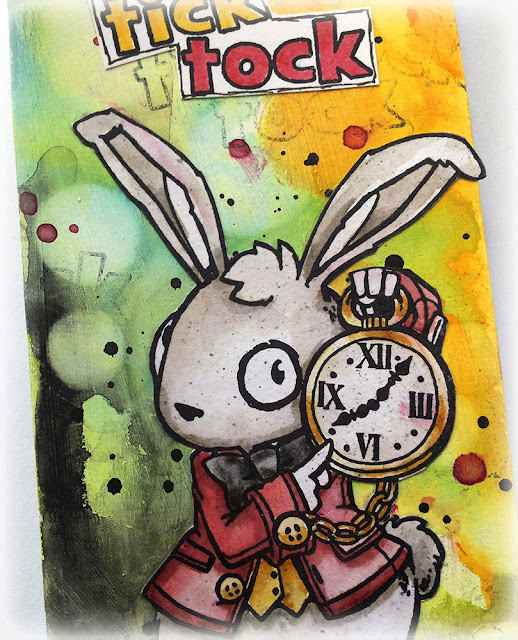 Jack is stamped with Archival Ink and coloured with Distress Inks using a water brush – this gives a softer, looser effect than colouring with markers. 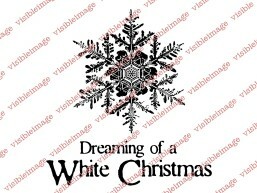 I randomly stamped some snowflakes over the tag before adding the sentiment at the top. Jack is attached with 3d foam pads, and the second blank tag is glued behind the decorated one to complete the piece. I hope that you enjoyed today’s project, don’t forget to check out the links below for more inspiration!! Visible Image on Instagram – daily dose of inspiration straight to your phone, don’t forget to tag us in your projects too! Thank you Teresa ♡ Awesome tag! 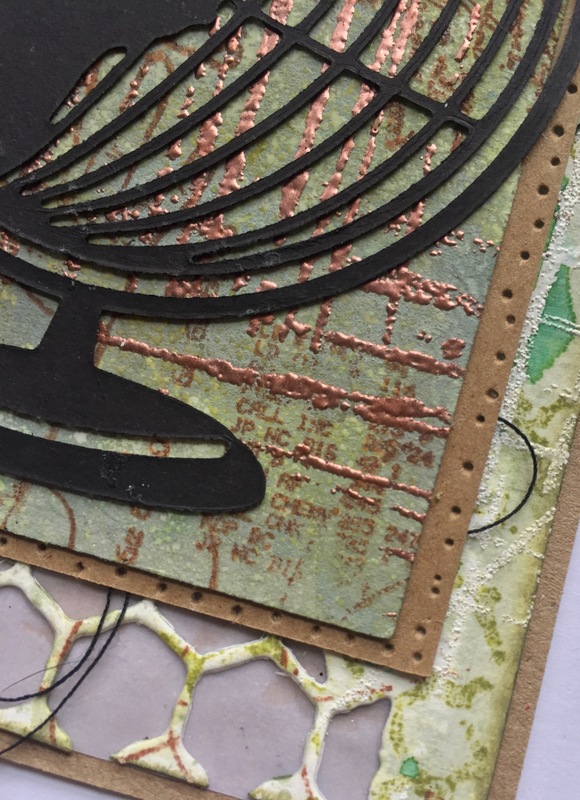 You can see more of Teresa’s brilliant cards and projects over on her blog. Thanks for visiting us here on the Visible Image blog today… come back soon! Only a week to Halloween! Wow! Even if Halloween is not such a big thing in Finland I can feel the Halloween excitement rising as my kids are making plans for their Halloween parties. Their joy and eagerness is so contagious. The little spiders I had bought from a local ‘Tiger’ store that sells fun decoration items for low prices. After gluing them on the tag I brushed some white gesso on them, too. Thanks again for visiting, have a great day! So excited to share my latest projects made for Visible Image. I was lucky to try out brand new goodies from Visible Image. 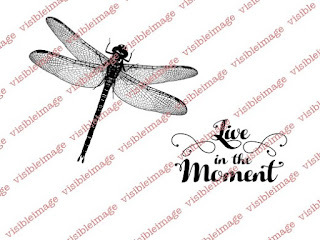 The first fabulous stamp is such a gorgeous image of the dragonfly. I simply adore these detailed wings. 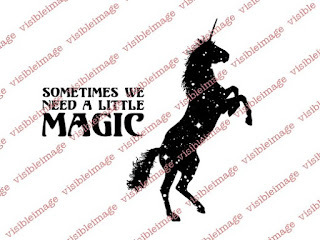 The second one is awesome unicorn silluette covered in beautiful sparkles. Each of the stamps is accompanied with a sentiment that can be used separately. As I did on the second tag. Versatile – this is what they truly are! Besides they´re deeply etched for perfectly stamped images. And packed in super plastic bags that will last forever. Irresistable, aren´t they?! 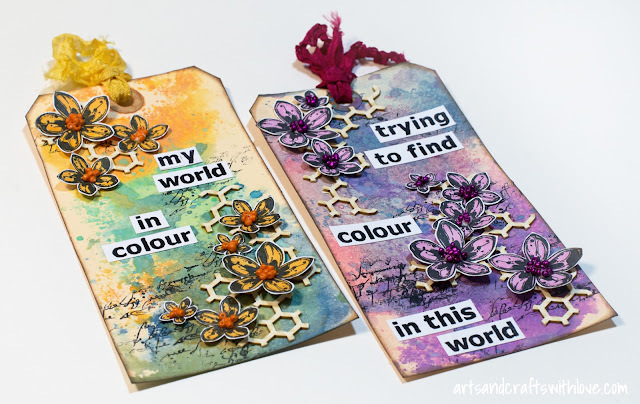 Here are the two mixed media tags I created using these perfect yummy stamps. 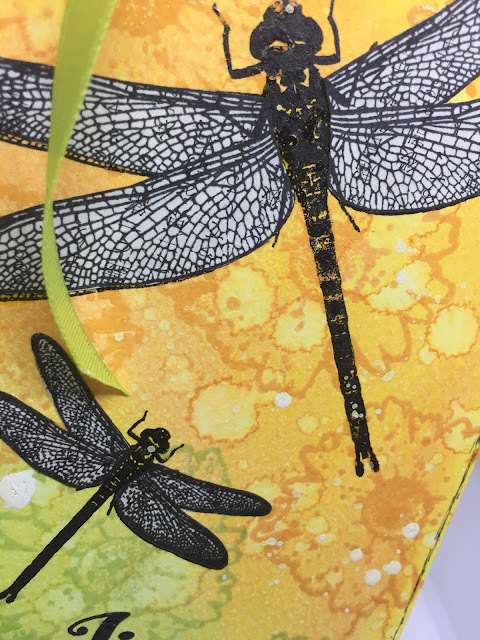 The dragonfly image was hot embossed on the vellum paper, cut out and glued on the mixed media background. No doubt it´s gonna be my No.1 stamp! Here the sentiment was simply stamped on the tag using black Archival ink. Both images are waiting to be pre- ordered. Just click on the title and you´re in the shop. We will be back tomorrow with an awesome Monolith from Katy Leitch! 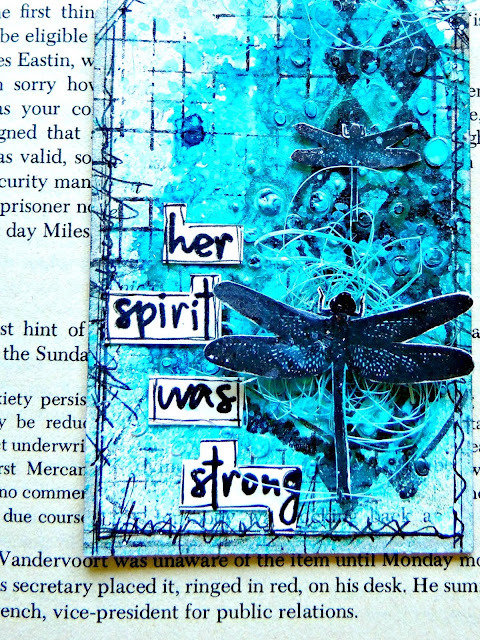 And something fabulous from Elina Stromberg… created with our NEW stamps! Hello! We’re back (as promised!) with more fabulous inspiration! I’m back again with a tag I’ve made, using an awesome set of Visible Image Stamps. This is one of the brand new designs, that are ready to pre-order now! 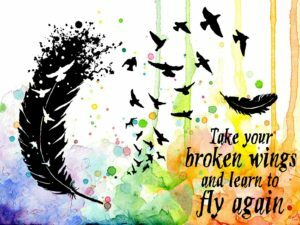 The set I’ve used on this tag is ‘Learn to Fly Again‘. 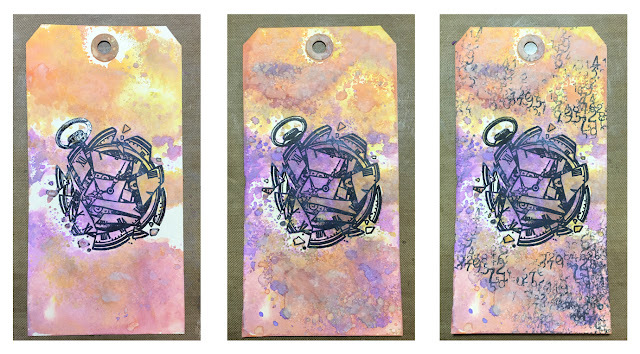 I used Distress inks for the background of the tag, the brighter the better, lol, and blended them together. I stamped the birds onto heat resistant acetate, using Versamark, then heat embossed using a gold sparkle embossing powder. I cut the acetate close to the outside birds and attached it to the tag with 3D gel. 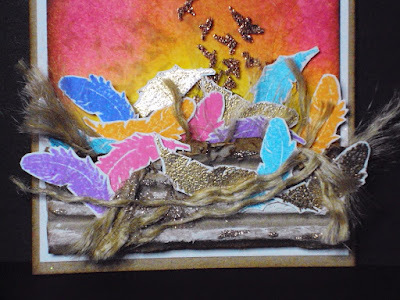 On a separate piece of card, I stamped the feather in various colours to match the background, and a few in the same gold embossing powder, I then fussy cut them all, then made a nest with some corrugated kraft card and garden twine, and added some gold glitter too. 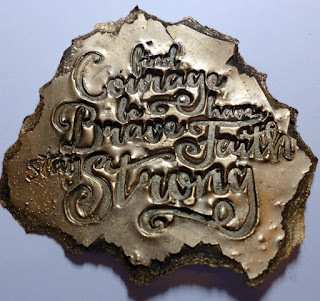 The sentiment was stamped onto Kraft card using Versamark, and heat embossed with white embossing powder, and torn around, I added some tacky glue, and some gold glitter to make it pop. Pop over the the webshop and check out all the fantastic new Visible Image designs HERE. Mark and I will be demoing some of them on Create and Craft TV, on Sunday 14th February (Yep, Valentines Day) at 10am. Catch the programme on SKY 674, FREEVIEW 36, VIRGIN 748 or FREESAT 813. We are very excited for the show!!! We’ll be back tomorrow with a very colourful card from Corrie and an amazing Monolith from Susanne! We are having a busy day here at the office… with our next Create and Craft TV show 3 weeks today, and the UK trade show the week after there is much to do!!! Especially with the HUGE number of new releases we have planned! All very exciting indeed. Welcome back to my first post of 2016 for Visible Image, yay! I started off with a tag shape and I fully intended for it to be a tag with ribbon and all….but it sort of stayed as a small canvas. I am happy with the bright result, hope you like it! The base of my tag is heavy watercolor paper. I chose to use the smooth side, for me it makes a better stamped impression. I stamped the Plasma, Ink Splats and Retro Dots Background stamps in clear, bright white and red embossing powders before anything else. When I start a project, I rarely know where I am going with it. I mean I have an idea, tag, canvas, ATC but I never know where I am going to end up. With this one, I had a moment of panic and almost tossed it aside. The red plasma was so opposite against all the white I wasn’t sure what to do. I let it sit….and sit….and finally came back (days) later to attempt to complete it. For the background I used Nuance water soluble powdered dye available here. I love the bright intense colors they create. The embossing acts a wonderful resist. Once I got the warm colors on the paper, I felt much better! 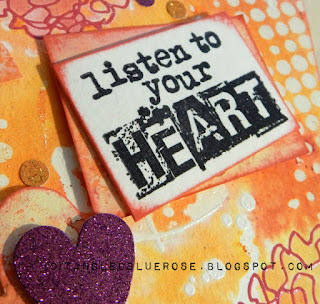 For the focal point I used one of my favorite sentiments, “Listen to your Heart” from the “This is Me” stamp set. 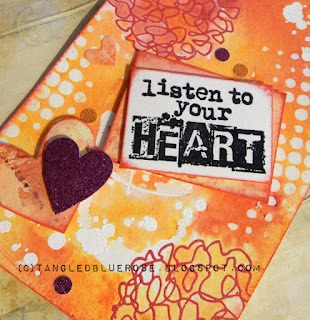 I think I just need to remember to listen to my heart more and shut the nagging brain voices down, what do you think? Now how cool would that be?! Hi There! Thanks for coming to visit our blog today. It’s a quick post this evening as we are doing the final prep for the biggest craft show of the year here in the UK… Hobbycrafts @ the NEC in Birmingham! It’s been a crazy busy few weeks making, cutting and packaging all the stamps to take to the show, but now that it’s all done we are getting excited for the show and looking forward to seeing lots of you there 🙂 We will have some great offers on our stand, and we also have one of our fabulous Demonstrators, Pauline Butcher, holding ‘Make & Take’ sessions on our stand. If you would like to come and join in the stamping fun, you’ll need to head over to book in on stand B09 first thing, as places are limited! We’ll be creating with inks, glitter and some of our awesome funky Music stamps! While we are away, our amazing team will still be bringing you their daily inspiration. You can find it over in our Facebook Group or on our Facebook page. And we will catch up with all their wonderful projects here on the blog when we are back next week. We will also be showcasing the wonderful PINK challenge entries next week too! Thank you to everyone who entered… and to everyone who donated or bought our Stay Strong stamp. Our grand total over on our Just Giving Page for Breast Cancer Care stands at £475.50…. that’s 95% of our target so it’s AMAZING! Hi there! Thanks for popping over to our blog today. This post shows you how I created the tags for the ‘make and take’ sessions during the recent show at Ally Pally with Visible Image. I created a Christmas one and a UTEE one! We had a great time, and everyone seemed to enjoy themselves and went away with a tag they had created themselves, using several different techniques. Many of the ladies and gents had never even touched a stamp or inks before, and were very happily surprised at how special their tags looked, and they were all totally individual! We were fully booked by around 10.30-11 for the Saturday sessions and just had a few places left on Sunday, but we did tweak the 6 seat table into 7 and 8 sometimes to accommodate where we could through both days, but still had several people asking for spaces throughout the show, so that tells me you were all very interested in the gorgeous stamps and techniques we had used on these tags. Thank you to those of you that came or wanted to join in, and for all the lovely kind words. I do take those words to heart and appreciate every one taking the time to want to speak with me, and Mark and Helen the dynamic duo… Haha! I call them this because Visible Image is Mark and Helen.. no huge team, no one helping, just Mark and Helen! They create, make, hand cut, and package every single stamp by hand.. every single deeply etched amazing stamp made by their own fair hands! Going to the show and seeing the work involved in building the stand, again just the two of them! I am in awe… my hat is firmly off to them, yet the stamps are so amazingly priced, and you can do sooo much with them. I thought I would mention all this for those of you who didn’t know! Here are the step by steps so you can follow along at your leisure, rather than under the time constraints at the show…. 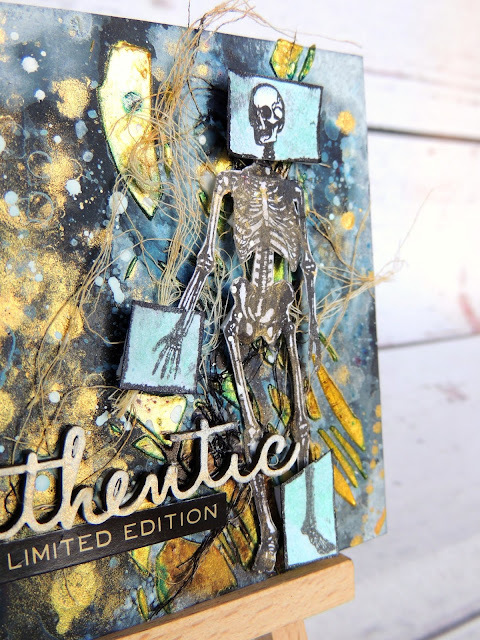 It was to show the layering of the background and how you can create them but also stamping in to Ultra Thick Embossing Enamel (UTEE). So to start I took the script stamp that was from the Revolution set of stamps which is still one of my favourite sets. I used it with black archival ink which is oil based so we will need to waft a little heat over it to set it so we don’t smudge it. I was stamping off the page onto paper. Then rub over with an anti static pad this helps it to dry even further and stops the embossing powder sticking to the archival ink just done. Clean your stamp from using the archival with a wipe and using embossing ink, versamark or perfect medium etc stamp the same script or whatever you would like on the opposite side of the tag or where you would like it, we are avoiding the centre as we will be adding the utee to the centre. 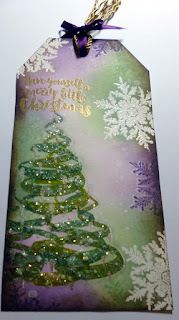 Add your embossing powder, I used clear as the tag here is white but you can use white if your tag is buff coloured etc. Heat set. Next I chose a couple of colours of ink and I colour it corner corner side so what I mean by that is two corners and the opposite side will be one colour and the corners and the opposite side will be the other colour. Once you have the first layer of ink on the tag (don’t expect to much at this stage) go back and add a second layer of the same colour to deeply saturate the paper so it should look like the above at this stage. Next I took my Autumn leaf from the Colours of the Wind set with Rusty Hinge DI, and added that on the bottom right corner tone on tone, sticking to that theme I added a few more little leaves in the orange with orange and in the blue with the Blue. To pull the eye more into the centre I added a darker in around the edges at this stage. I didn’t do this bit at the show just purely as we were in a real tight time crunch as the utee part is the longest section of the make and take. Lastly here I sprayed some water into my hand and flicked it onto the tag, I Left it until the ink starts to dissolve (it looks like a ring starts to appear around the edge) once it does that blot off the water with a paper towel, blot don’t rub. I used the dark ink also to stamp a swirl across the hole in the tag and a coupe of other places as another little layer on the backing. The Backing is now finished. You can waft a heat gun over it to dry it but I just put it to one side now to dry while I do the utee section. This is what we are looking to achieve next. To keep this a little shorter I will explain how to in easy steps. Cover that stamp in versamark/perfect medium and set aside ready. Tip on UTEE , pour off excess onto paper and tip it back into the pot now before you switch on your heat gun. (pour off don’t tap, we want to build thick layers. Next if you take a long time putting the gun down and slurping ya tea etc and the utee cools right down you can add more versamark (don’t do it while its molten folks or bye bye versamark) and the next layer of UTEE, if you are quick and you have heated the UTEE and it is still boiling hot tip on more UTEE as it will stick to itself. Melt again. Repeat the last stage a third time (three layers of utee). Have your stamp ready next to you and as soon as your 3rd layer of UTEE is molten and still wet add your stamp into it , push hard but don’t skid it, so straight down onto the utee. once it is set into the utee take your hands off and sit back for a second. Leave it alone to cool slightly. Don’t go make the tea or walk the cat, we don’t want it cold, we just need it to cool off a bit… A. you don’t want to burn yourself and B. you need it to keep its shape when we remove the stamp. Ok its been a while so pick up the stamp block and pull the card away from it. VOILA…. You did it…. Marvel at your cleverness… Hehe! Rip the edges all around , crack the utee ( trust me it looks good. ) then rub a dark ink into the edges that are exposed, I favour walnut stain or vintage photo but if you use blues or your tag is really dark colours consider black, it looks fab. OK add foam to the back and add it to your tag. choose some nice ribbon for the top and add some bling or a button to cover the knot if you choose or leave it rustic. I also Matted and layered my tag twice using card from my stash to make it nice and thick to last the rigours of the show. The sets I used on this one were ‘Revolution’, and ‘Colours of the Wind’. And the sentiment is ‘Stay Strong’ which I love. I will show all the sets at the end of the post. Next is our Christmas tag…. So those of you who were at the show saw the sparkle on this tag. It is not showing up on the camera as well, but people were constantly commenting on this sparkle! If I was in the glitter trade I could have sold a fortune lol, but it wasn’t about that, it was showing these stamps off, and how they stand up to all I put them through hehe. 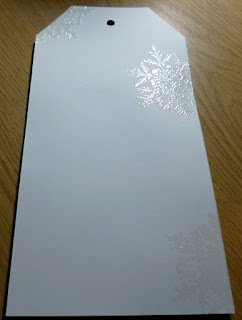 I used a slight off white card so for this stage I embossed some snowflakes in clear, If your card is buff coloured like Manila tags then you can emboss in white if you prefer or keep it buff its entirely your choice. So ink your snowflake with Versamark/Perfect medium and stamp off the edge of the tag, tip on your choice of embossing powder and heat set. Choose two colours of ink , I used here seedless preserves and peeled paint but it kinda looks like dusty Concorde in this light for pictures. You can use any colours you like together, and at the show it was fantastic the colour schemes and different tags people were creating. I was soooo proud of everyone as they achieved what they thought they couldn’t do…. yeahhhh!! So again, I colour corner corner side, I like how it comes out and it always works, I use the analogy of how flowers grow, they always seem to be off numbers and look better if you plant them the same in 3’s or 5’s etc. First layer of ink we are trying to get wet into dry so it will never look really cool with just one layer of ink but this is what it looks like with one (above) it will be patchy and may have some lines etc, do not worry about it just move on. Next we add a second layer of the same inks, it will start to look much more saturated and more like the real colours and much more blended. Once this is done we will use the same snowflake tone on tone so green on green purple on purple or whatever colours you choose. I added just a few on edges here and there like branches almost as I knew I needed room on the left for my tree and sentiment. I also spritzed some water in my fingers and flicked it at the tag waiting til it started to dissolve the ink as it is water based (its gets a ring around the edge as it starts to lift) take a piece of kitchen towel or a cloth and dab the water off, dab not rub. You will be left with patches of missing ink which gives us more texture to the background. If you were doing a water scene you could used these dots and turn them very simply into bubbles as I have done many times before on the blog but I will do again this week to show what I mean. So this tag I made at home was very much bigger than the ones we used at the show again with time constraints of a ‘make and take’ we had to downsize a little but here I took my tree as I showed on the blog last week used two or three greens (use the colours you want on your tag) and I stamp out three slightly overlapping, then I go on the next layer and overlap and layer them til I have a larger tree, which looks like above. You can see lots of little white dots on my tree in a zig zag pattern like a pearl string, that is achieved with a white pen making dots so this was next. Now if you look at the tree, I went back and added gold baubles which are just using a gold gel pen and drawing three circles slightly smaller in size randomly all over the tree, I know we are covering this in glitter so you think it will not show, but it all adds to how it looks at the end, without this step the tree can look flat. 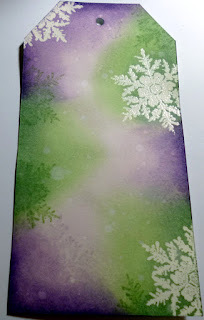 I also added some white around the edge some of the snowflakes in the purple to pull it forward. Next just above my tree I stamped in Versamark/Perfect Medium and embossed in gold the sentiment that goes with the little tree set, it says ‘Have yourself a merry little Christmas’. I took a quickie glue pen and dotted it all over the tree randomly, then tipped on some iridescent glitter. Once this was done I took some glue, any that is thicker than the quickie glue that dries clear, and laid down much bigger blobs of glue randomly all over the tree and tied on Glass Glitter. Now glass gitter is the most sparkly shiny glitter ever, but you do have to be careful as it will cut you after all it is glass shards. But, treat it with respect and you can do some amazing things with it. So tip on your glass glitter and tip off the excess, admire the sparkle as it will be reflecting all the iridescent glitter underneath and all the work you have put in to building up to this bit. I was testing out which bow I wanted at the top of the tag here but I ended up matting and layering this one to make it nice and sturdy for the show, and then going back in with the ribbon at the top and the bow and then I found a nice button which I added too. Which you can now see all finished on this tag. You can’t see half the sparkle this tag has here as the folks who saw it in person with be able to tell you! So that was the two finished ‘make and takes’ from the Alexandra Palace craft show this weekend, September 2015. You can either use these stamps, which are all linked directly to the stamps in the Visible Image shop, or browse through the stamps until you find something you would like to use on your tags. It isn’t about using the same, it is making tags individual to you and who you would like to give it to. The Christmas one can be added to a tree for example and themed to match. I hope you enjoyed the process of making these tags and would like to give it a go, I was astounded at the quality and clever pieces made at the show as we were limited on time of course being ‘make and takes’ not workshops, but everyone managed to do brilliantly. I really enjoyed meeting you all, and will treasure all the hugs and your kind words. Again a huge thank you to all who wanted to book, and I apologise to those who could not book on. But, I will be doing a lot more so keep your eyes out… and do ask your local craft shops to ask for Visible Image demo days if you would like us to do that. Visible Image has some amazing plans coming up, and over the next year you will hear an awful lot about them and see lots of new goodies. They have already got to the stage where they have their own office and are no longer making the stamps from home, which is an amazing achievement, and soon they will be moving forward with the next phases, I am sooo proud to call them my friends, and to have been with them for so long. Great things to come folks….. Thank you to all who attended, a huge thank you to Mark and Helen for asking me to come along and looking after me with all the refreshments during the shows too. And don’t forget to use coupon code: allypally20 for 20% OFF all our amazing stamps right now! Hi There! 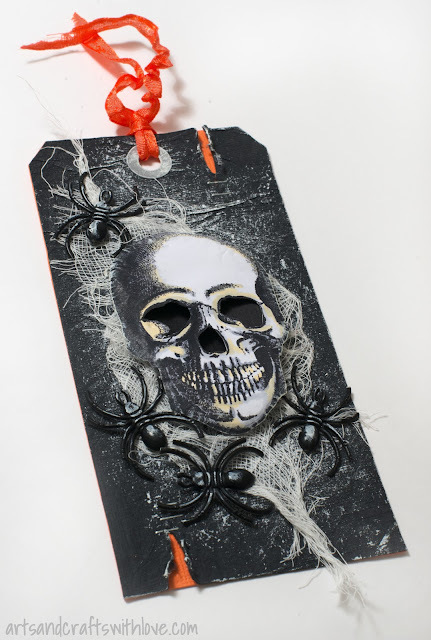 We are very excited to share with you some amazing tags created by Kim Robertson! Kim will be running ‘Make & Take’ sessions on our stand at Ally Pally this coming weekend and will be teaching the techniques she used to make these tags. It will be so much fun, so if you are coming, make sure you come on over and get your name down early, as spaces are limited. Today I have something that I have been working on for the shows at Alexandra Palace over the coming weekend. As most of you know by now I will be at the craft show doing Make and Takes on the Visible Image stand which I am looking forward to sooo much, I am also doing a couple of the demos in the tent over the weekend too which will be great fun. Mark and Helen are as we speak beavering away making and packing all the stamps by hand, they amaze me how they get everything done, it is just the two of them working all hours designing, writing, creating, making and marketing all the fabulous stamps they sell, and my hat is not only off to them, it is on the floor and stamped on lol (slightly dramatic but hey why not I am impressed lol) and they are kind lovely friends too…. wow. 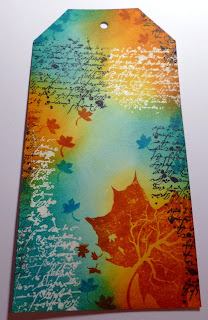 This first one is an Autumn feel tag, I will be showing how to get the background ready, and all that layering with embossing powder and inks and then that amazing centre featuring the ‘Stay Strong’ stamp pressed into UTEE. On the blog over the weekend will be full tutorials on how to make these, so that the people who come to the Make and Takes have it written down to have a go at home, and so those who can’t make it to the show so can follow along anyway so look out for that this weekend. I just love the inks and the depth with how your eye starts at the central piece but then travels to the backing, where you immediately see the leaf, but then start to pick up on a the other items with in the backing. Here you see it from the side angle with the script stamp from the Revolution set used and embossed in clear over white card, then at the end of all the inking some treasure gold added over the writing in places, just around the edges. I love to do this as the raised embossing really grabs the shine on the wax. Once it’s dried you can take a cloth and buff it ’til it really shines, as of course originally it was used as a furniture polish to add shine and colour to wood. Here is a close up of the tag with a tiny button in the centre, and some thin ribbon through the centre. You also can see how the ink colours blend and how I have added all the layers to build the depth you see from afar. The stamps used on this one are . My thoughts on these these two sets… first when Revolution came out my jaw hit the floor as they say! I immediately saw crashing waves with white horses, and that script is just beyond perfect for mixed media and scrapbooking.Also those of you who like to journal wow, use a white gel pen to write your message over a colourful background rather than black pen on a light colour. It creates a stunning effect. 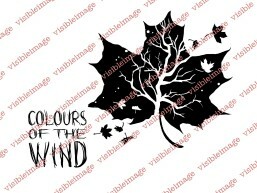 Then there is the Colours Of The Wind set, well does this not scream Autumn? And tucked within the leaf is a tree… Amazing! I dont know another brand with such forward thinking ideas.I love this leaf and the small leaves around can be used separately, so you can have falling leaves exactly where you want them. Here are a couple of cards I originaly created with these two sets… Do you remember them? This was the one I envisioned the very first time I saw Revolution! And something a little different, look into the background and you will see lots of embossed leaves too, with lots of ink blended all around. The second Make & Take tag is a christmassy one ..
With it being half way through September already, people have been wanting quick-ish Christmas cards.. Well why not send a tag for people to hang on the tree, or their Christmas card line instead and it can be a piece of art as well as your seasonal wishes. Most of you saw my little tree I created with the Visible Image Merry Little Christmas set a couple of weeks ago, which is a fun way to create a larger tree so we will have a go at this one too. The stamp sets I used for this one were. I am not a huge Christmasy person now the kids are all grown, but I just love the dellicate Snowflake here in the White Christmas set, and as soon as I saw the Merry Little Christmas set I saw the larger tree made with shades of green, or whatever colour you choose… your imagination is the only thing that can choose how your tag comes out but with these amazing stamps the possibilities are endless as a famous man once said lol (Eddy Izzard at the end of a recycling advert on telly) LOL Trivia tooo … Haha! Well I hope I haven’t overloaded you all with too many pictures, but I truly hope I see as many of you as can possibly make it over the weekend. And I would love to see you on the Make and Take table enjoying some time together, whilst playing with yummmy stamps… what can be better…. Don’t forget the extra posts after the weekend too, showing you how I made the tags! Thank you so much for visiting our blog.. if you missed any of our latest inspiration you will find it all HERE! We will be back on Monday with all the gorgeous work shared by our amazing team over the weekend. If you want to see it sooner then come and join our Facebook group. or maybe you are just going to chill out! 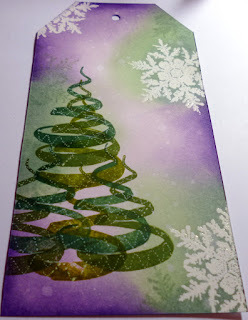 We have some fabulous inspiration for you this evening here on the blog from Pauline Butcher…..
I’m back to share 4 Seasonal tags I’ve created, using some fabulous Visible Image Stamps. On all the tags I used 2 stamps……. ‘Winter Tree’ and ‘Tall Grass’, and just changed the sentiment. The sentiment on the Winter tag is from the ……. ‘Sparkle at Christmas’ set. On the Spring tag it’s…….’Memories’ from the ‘Make me Smile’ set. On the Summer tag it’s……. ‘Dream’ from the ‘Imagine, Dream, Inspire’ set. The last one is the Autumn tag and the sentiment is……. ‘Colours of the Wind’. 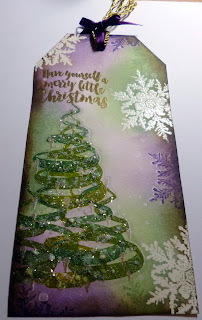 I blended Distress Inks for the background of each tag, and stamped the Tree and the sentiments in Black Versafine ink, the grass was stamped in Distress inks. I added blossom using acrylic paints, the winter tag is achieved using a ‘dries white glue’ and glitter for the snow, and I used stickles on all the tags for the finishing touch. The ‘Show & Tell’ challenge is well under way, why don’t you join in.. make a project using only ‘Visible Image Stamps’ for a chance to win a £25 coupon to spend on some new stamps! Take a look at the ‘Visible Image Facebook group’, where you can see the news of forthcoming shows, competitions, and lots of other things. Woweee aren’t these awesome! Can’t wait to display them on our show stand… thank you Pauline! I think we better make extra Winter Tree stamps to take 😉 Here in the UK we often have four seasons in one day when it comes to the weather, so these are just perfect! Thank you again for visiting us today… We have a weekend packed full of gorgeous inspiration for you here on the Visible Image blog, so make sure you pop back on Saturday and Sunday to see the latest projects from Doreen, Susanne, Kim J and Karen! Hello 🙂 Thank you for coming to visit our blog today! We are catching up with all the latest Design Team cards and projects today, after being away at the Stamp Magic show over the weekend. NEW Design Team members Susanne, Doreen, Kim J and Karen are here with their first Visible Image posts… very exciting! Elena is still waiting or her stamps to arrive and is very eager to get creating… come on postie!!! I knew: I love it! The background is created with Gelatos and I colored the rabbit with Distress Ink. You can find more of Susanne’s fantastic work over on her blog. Pop back later to see more inspiration from the team! Good Morning 🙂 Yay it’s the weekend! So here’s Pauline’s ‘Fabulous Friday’ post which, if you follow Pauline’s blog, you will have seen yesterday! Hey my crafty friends, how are you? Another week has flown by, and I’ve been busy creating, as usual. I was having a bit of sort out, and found my Alcohol inks, so have been playing with them, I love their bright juicy colours, and of course they are the perfect match with some awesome Visible Image Stamps. 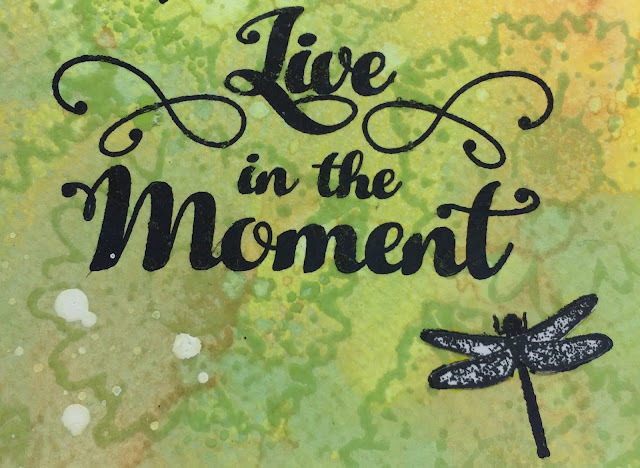 Using a Distress Ink blending tool with a piece of felt, I put 3 colours of Alcohol ink onto the felt, and a drop of Blending Fluid, then pounced over a piece of 8″x 8″ white gloss card. 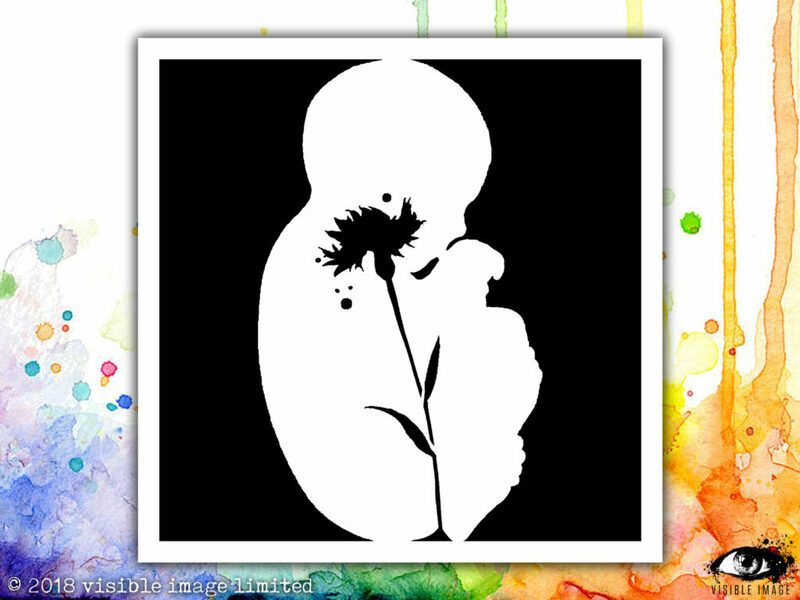 For the first card I cut a 5″ x 5″ piece from the pattered card I had just made, and stamped the flower and stem using Versamark, and heat embossed using Black powder, then using the Happy Birthday stamp, did the same. a little bit of mat and layering onto a 6″ card blank and some Stickles, and hey presto…….. The second card was the left over pieces of the card I had coloured, and again using the same stamps and versamark, but this time using a black sparkle embossing powder, adding Stickles to finish. 2 Very simple cards made. Flower INKognito ( one of my favourite ) and the Happy Birthday Set. This was a tag I made for the lovely Mrs Awesome, (aka) Helen, as she was feeling very under the weather with ‘manflu’ last week caught from Mr Awesome himself, Mark, the owners of Visible Image Stamps. I made this tag in the same way as before, but instead of pouncing the ink, I dragged and weaved my tool onto the card, giving a sort of wavy effect, I stamped the Inkognito butterfly, and heat embossed in black powder again, I then stamped the large butterfly with Versamark and heat embossed, onto a small piece of heat resistant acetate, and fussy cut it, fixing it above the butterfly on the tag, a sentiment and some mat and layers, and of course Stickles to finish. Butterfly INKognito and Large Butterfly. 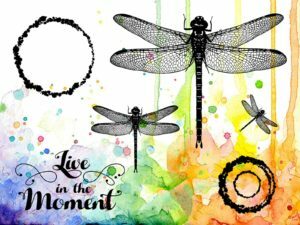 A new months ‘Show and Tell’ has started for May, so get your entries in for a chance to win some fantastic stamps, details HERE. Check out our Visible Image group on Facebook HERE. 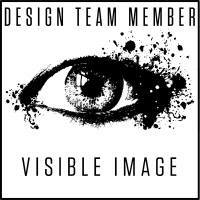 If any one out there is interested, Visible image has a Design Team call out at the moment, looking for new teamies to join us in spreading the Visible Image love, details are HERE. Fabulous cards, so bright and summery! Awesome backgrounds for our awesome stamps! If you haven’t got your hands on some of our INKognito stamps yet, what are you waiting for?! You’ll find them all HERE! We will be back later with more Visible Image stamps inspiration from Amber, who leaves us at the end of May after 18 months on our team. We are very sad to lose her and will be sharing our favourite ‘Amber cards’ at the end of May! Get your Design Team application in! See you back here later! It’s ‘Soozie Tooseday’ here for Visible Image. Fancy joining our awesome Design Team??? 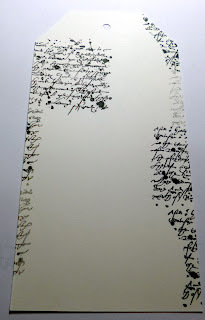 I firstly covered the tag in spiced marmalade distress ink, gave it a few spritzes with water and added a few droplets too, let it dry, on some spare card also inked in spiced marmalade, masked and stamped a few buttons and fussy cut out in tuxedo black memento ink. I used tuxedo black for all the other stamps and spiced marmalade for the fussy cut bodice of the dress, added some spiders web material for the skirt and flat backed gems, attaching to the mannequin via dimensional stickers. The additional stamps of the shoes and handbag are from the Elegant Emma set. Come check out our Show and tell challenge and get your entry in, for some inspiration view our BLOG homepage, and our facebook group, its friendly and some awesome makes from the DT and our group members, we are a talented bunch, if I do say so! But if you’re after some CLASS stamps then you’re at the right place……HERE! 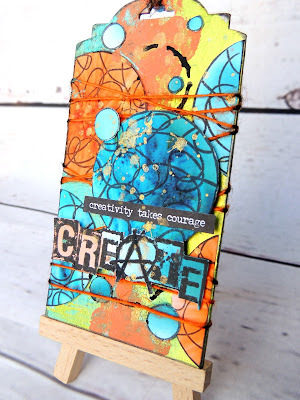 This is such a gorgeous tag by Suze! 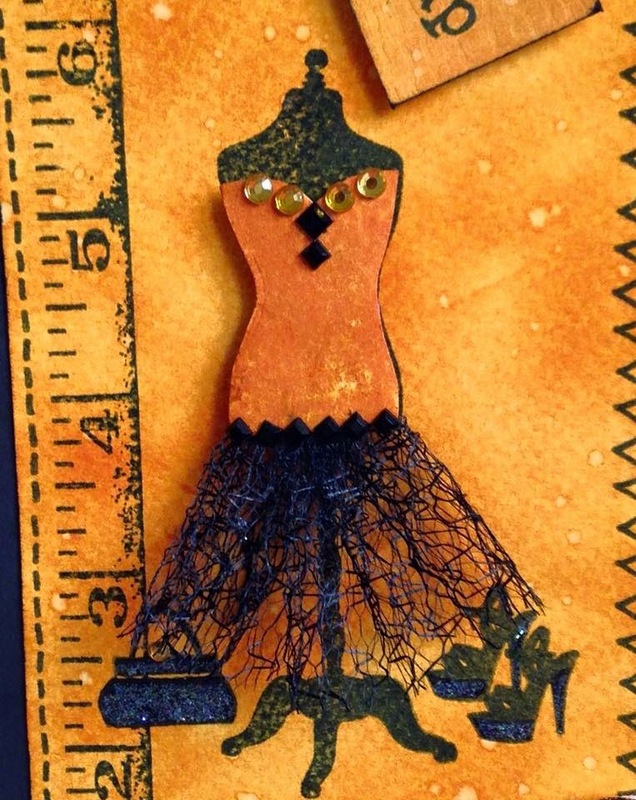 Don’t you just love orange and black… and the dress looks fabulous <3 You’ll find more of Sue’s inspiring work over on her blog. Pop back later as we have more fantastic new cards to share with your from Lisa and Kim R.
Good Morning! Hope you had a fabulous weekend. It’s a dark, wet morning here in South Wales but of course it’s still marvellous as we have the best job in the world… Creating awesome stamps! We have been busy working on some AMAZING NEW designs and we are so incredibly excited about these! Once again they are original, unique, and you will not be able to resist them! We will reveal all in February. Hello Readers! And a big HELLO to new visitors, hope you enjoy it here! Today, with it being a Monday, it is of course Marvellous Monday with Visible Image. I have 2 tags for you today featuring a couple of the fantastic sentiments from the Express Yourself range. These are *the* most useful stamps! There are some great inspirational quotes which are small enough to be added to little projects like these tags but BIG enough to be a feature. Did you see my Karma card recently? Oh! You didn’t? Well, I have no shame so here it is again, see how the sentiment sits perfectly as a main feature. If the butterfly wasn’t there, the card would still ‘work’. Back to the tags! I took some remnants of Brusho coloured card and beefed them up a bit with some more colour. I then used the grunge polka dot stamp to remove some of the colour using just water which I dabbed off before it dried. I then used some dilute bleach and the Bronte Script to provide some white areas as well as using it with some ink to give some darker, more defined script. And then……yep more, I used the splats and blotches to add some more visual texture. You can barely see some of the stamping but it does make a difference. It is what makes these little projects so much fun to make. It is a great place to experiment. The main sentiments were stamped and embossed with black before even more bleach in the letters to make them ‘pop’. Just a couple more things to tell you about. First there is the release of some totally gorgeous romantic sentiments. If you ask me, they are pretty good for any time of the year but they are obviously totally right for the 14th February! They are available as individual stamps but I am pretty sure you’re going to want them all, I know I do! There is also the little Cupid set which is specially for Valentine’s Day. Cute eh? And secondly, here are all the linky-things you need to keep in touch with what Visible Image are all about. Click HERE to go to the Facebook group – Ask to join if you haven’t already. Click HERE to find out about the Show & Tell challenge in the group where you can upload your project and tell us all about it! See you next week for another Marvellous Monday. In the mean time enjoy your week, get crafty and show us what you have been up to! Come back tomorrow for more awesome inspiration from Sue Joseph! Hope Monday is gentle with you. Hello and thank you for joining us here today on the Visible Image stamps blog. Monday’s ‘Marvellous’ inspiration comes from the very talented Kim Bacon. Marvellous Monday again and it is good to see you here. 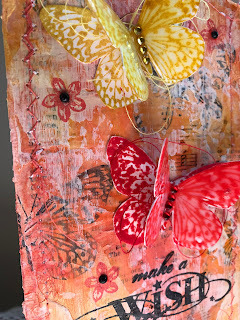 As you know Monday is my day to inspire you with a project made using the amazing stamps from Visible Image. It never ceases to amaze me just how great these stamps are. They are made from top quality polymer, are deeply etched and produce superb images time after time. bring us these wonderful stamps. Have you met them at one of the shows? They always have a great stand displaying lots of samples the DT have made including some of mine! They always thank us for our work but they also need to be thanked for producing such wonderful stamps. It is a bit like the chicken and the egg, without one you couldn’t have the other! My project today is a tag made using the butterfly and one of the floral silhouette More than Words sets, Thinking of You. 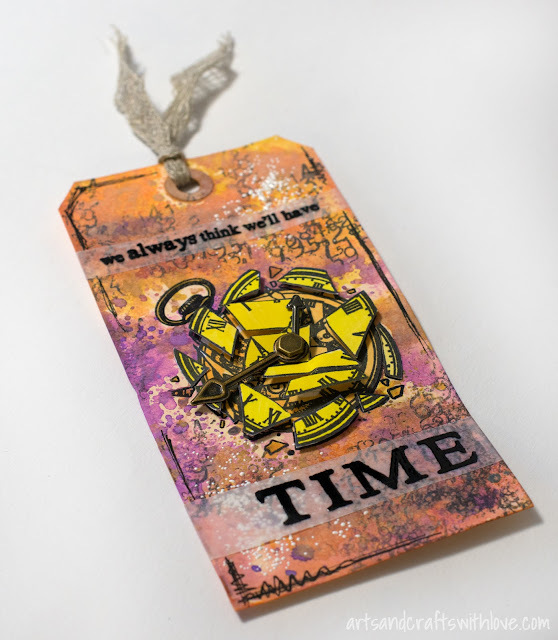 I recently did a card and tag for Craft Stamper magazine which is where the idea for this tag came from. I started by cutting a tag which was large enough to accommodate three flower heads. I carefully removed the masking tape and used a jet black archival ink to stamp the images. the main sentiment down the right hand side. I coloured a small piece of white card with the Denim Gentle Blends. white paint pen by Posca to add highlights to the flowers and to the butterfly. A piece of white paper ribbon finished off the tag. The theme for October is Get Spooky! Click HERE to go to the Facebook group. Ask to join if you haven’t already. I shall retreat to my cave and get crafty! Not long till the new Challenge is announced! to WIN £20 to spend on our fabulous stamps! And finally… Kim couldn’t resist making some more! Imagine Dream Inspire set and our Bronte Script stamp! to spend over on our website…. Get out your Visible Image stamps and show us your TAG-TASTIC makes! Don’t have any of our stamps yet? No digi images at all please – as we design and manufacture real stamps! Are you at Ally Pally on the 12th & 13th?? If so, we will see you there with some fantastic show offers!